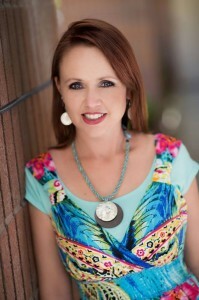 Nichole Giles has lived in Nevada, Arizona, Utah, and Texas. She loves to spend time with her husband and four children, travel to tropical and exotic destinations, drive in the rain with the convertible top down, and play music at full volume so she can sing along. I am inspired by the smallest, or the largest things. Music is a huge influence in my writing, as is a beautiful day at the ocean, or a particularly colorful sunset. A kind gesture or an interesting person–I tend to find inspiration in the silliest of places. I’m a pantser, for sure. I once tried to outline, and that novel is the one I have rewritten so many times and quite seem to get it right. initially, the writing was faster, but the story was so flat. I think for me, it’s about discovery. I tend to write extra long (about double the size my novels end up after edits) as I’m getting to know characters and setting and story, and then when I discover who and what the story is really about, I’m able to go back and cut out everything that isn’t relevant. I do, yes. I don’t always know my characters very well when I start, so I have to get to know them as I write, and it’s a process much like getting to know any real life human. There are many layers to discover and un-peel to find what’s beneath. Never give up. Today’s publishing industry is cutthroat and rough, but there are more opportunities than ever before for each of us to cut our own path to success. Also, never, EVER compare yourself to others. You will always fall short. Instead, compare your today self to your yesterday self and see how far you’ve come. I am represented by an agent. Originally, I had a publishing contract with a small-ish company that was doing very well (as far as anyone knew) when I signed. Unfortunately, about four months after my novel, DESCENDANT, was released, they announced they were closing for business. They were very good to all the authors, though, and gave us all rights to our work, along with our covers and other promotional materials we needed. After I recovered from the shock, my agent and I decided it was best if I kept the book on the market by self publishing it, since I already had another series on submission to bigger houses. I just released the second book in the series, BIRTHRIGHT, and am working on building an audience for both. I think right now there are more possibilities than ever for good books to be seen and read and published. We have so many resources and so many choices, and I know this industry will keep evolving and changing along with the authors. It’s really hard to keep up, but I think that as long as there are readers looking for great stories, and authors willing to create those stories, the future of publishing–however it evolves–will always be awesome. Young Adult–every sub genre of that, and new adult.